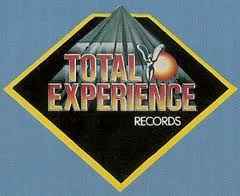 Total Experience Records was a record label founded by Lonnie Simmons. Its two major acts were The Gap Band and Yarbrough & Peoples. It originally began in 1977 as a production company whose artists recorded for Mercury Records before becoming a label in 1981. From its inception in 1981 to late 1983, Total Experience was a subsidiary label of Mercury's parent company, PolyGram. In 1984, the label changed its distribution from PolyGram to RCA Records. In the 1970s, Lonnie Simmons operated a club on Crenshaw Boulvevard in South Central Los Angeles called The Total Experience, similar to the West-Hollywood Roxy Theatre. Eventually he invested in a recording studio (purchasing the property previously occupied by Sound Recorders Studios on the corner of Yucca St. and Argyle Ave. in Hollywood), launching his production company, and met the Gap Band through a friend, singer D. J. Rogers. He then had the idea to reduce the official lineup of the group from twelve members to its sibling trio of Ronnie, Charlie and Robert Wilson. After signing the Gap Band to Total Experience Productions (as it was then called), and securing them a label deal with Mercury Records in late 1978, Simmons himself personally produced the Gap Band's albums during their tenure, and co-wrote their breakthrough song, "Oops Upside Your Head". While in Texas in 1977, Gap Band leader Charlie Wilson discovered Alisa Peoples & Calvin Yarbrough, who were performing as part of the band, Grand Theft. Charlie convinced Lonnie to give the couple a chance, which paid off in 1980, when they released the song "Don't Stop the Music", which topped the R&B charts. This was immediately following the Gap Band #1 R&B song "Burn Rubber on Me (Why You Wanna Hurt Me)". Both of those albums went gold, and two of the Gap Band's albums went platinum. The first three Simmons-produced Gap Band albums, as well as Yarbrough and Peoples debut album The Two of Us were released by Mercury. These recordings were solid enough to give Simmons credibility to establish his production company as a full label, and he officially launched Total Experience Records in 1981. Gap Band IV, released in early 1982, was the first Total Experience album release. The success of Gap Band IV, Robert "Goodie" Whitfield's debut album Call Me Goodie (also released in 1982), 1983's Gap Band V: Jammin' and Yarbrough and Peoples' Heartbeats resulted in a lucrative distribution deal with RCA Records in early 1984. At the tail-end of 1984, A Total Experience Christmas was released, featuring songs by five of the label's acts, as well as two of the label's writers. Even though the Gap Band and Yarbrough & Peoples still had high charting records through the mid-80s, the successes were ephemeral and they resulted in far fewer sales. Lonnie signed a plethora of new acts in 1984-85 and two established acts: Switch and Billy Paul. None of these acts managed to have any success with Total Experience. The Gap Band released 4 albums: Gap Band VI, Gap Band VII, Gap Band 8, and Straight from the Heart before moving on to Capitol Records in 1989. Yarbrough and Peoples left the label in 1986, and moved back to Texas, where they married in 1987. In 1987 Total Experience lost their distribution deal with RCA and carried on as an independent label, faltering soon after. The label's post 1984 holdings now belong to Minder Records (now a division of BMG Rights Management), while its PolyGram distributed holdings belong to The Island Def Jam Music Group. Total Experience Records Co., Inc.